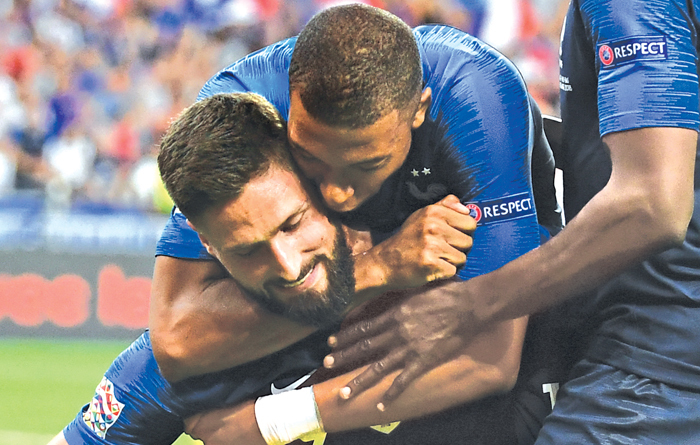 Paris, Sunday: France finally celebrated winning the World Cup with their home fans on Sunday after Kylian Mbappe and Olivier Giroud both scored in a 2-1 win over the Netherlands in Paris. “Now is the time to have a party,” Paul Pogba told M6. “When we came back to France it was very short. There was all the security around the bus and we couldn’t really celebrate with the public. The teams were greeted by an enormous banner that read ‘world champions’ and covered the pitch, before a spine-tingling version of the French national anthem. Giroud got the winner though, his 32nd for his country seeing him move one clear of Zinedine Zidane’s tally for France.